With growing real estate opportunities and booming tourism, Mexico’s Yucatán Peninsula is becoming a true hot spot for overseas investors. Campeche, Yucatán, and Quintana Roo are three popular destinations worth considering. To understand the advantages and disadvantages of investing in these areas, here’s a breakdown of these three unique Mexican states and their offerings. On the Gulf of Mexico, Campeche has remained undiscovered by real estate investors until recently. A few upscale golf and residential developments have emerged, catching the eye of international buyers. The city has beautiful beaches, picturesque towns, and a charming character with colorful colonial homes and street art along the boardwalk. Campeche offers a more laid-back atmosphere compared to other popular destinations. This UNESCO World Heritage City includes a fort that protected the old town from pirates long ago, along with over 2,000 historic buildings that have been restored to their original condition. Property values are rising in this developing real estate region. The area has all the necessary amenities, including international supermarkets, stores, hospitals, and airports. With Campeche’s growing tourism, investors are finding more rental opportunities than ever. Beachfront properties start 30 minutes south of the city of Campeche and run down to Ciudad del Carmen. You can find available lots at competitive prices with beachfront views, lagoon access, electricity, water, phone, and internet connections. Homes in Campeche are priced as low as US$60,000 and up to US$350,000, with average prices running between US$190,000 and US$250,000. 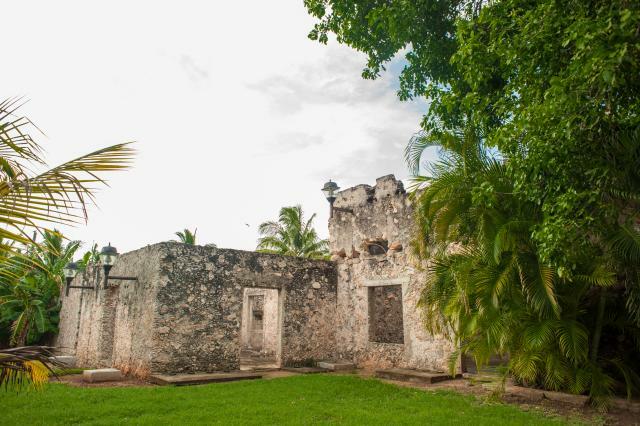 If you want to restore some history in Campeche, some large but pretty rough properties listed at around US$300,000 have the potential to become beautiful colonial homes. You could flip these properties or rent them out for events, which is common in the Yucatán Peninsula. Because the city of Campeche has recently been renovated, investing in traditional Mexican homes in the colonial city center is an exciting opportunity. Also, at this time, these historical properties remain unknown to non-Mexican home owners. On the other end of the spectrum, you can find high-end luxury condos at the marina and golf developments just outside the city with a nearby commercial area filled with restaurants and quaint, little shops. These properties could become amazing vacation rental opportunities if you’re looking for ROI. However, they are considerably more expensive, starting at around US$500,000. Campeche is perfect for a less crowded, more authentic experience. Although tourism is on the rise, it retains a charming, small-town feel with all the amenities that you or a potential renter might desire. Crime is practically unheard of in Yucatán, making it a prime location for property investors. The capital city of Mérida offers traditional architectural styles in a colorful colonial city with a vibrant Mayan culture and history. It’s a thriving industrial hub, which also boosts tourism numbers. Mérida is a 20-minute drive from Progreso, the closest and most popular beach town for Mérida residents. It is also a bustling city that serves Cancún and the Riviera Maya for governmental needs such as visa applications. With its fabulous mansions and colonial architecture, Mérida is a hub for gastronomical delights and provides a diverse array of artistic and cultural activities compared to Campeche and the Riviera Maya (which lack in this area). In 2017, Mérida was named the American Capital of Culture for the second time, making it the first city to repeat this title. Although Mérida has a modern aesthetic, it is one of the most ancient cities in the country. The real estate market here varies with historic buildings, new condominiums, single-family homes, ranches, haciendas, gated communities, and country clubs. Prices in Mérida and other Yucatán cities vary tremendously. You can find a vacant lot for as little as US$40,000, or a fixer-upper in downtown Mérida for US$54,000. Modern, one-bedroom apartments in the northern part of Mérida cost around US$55,000. However, you can go as high as US$1,160,000 for a luxurious colonial mansion on the main avenue. Average property prices range between US$150,000 and US$300,000. Mérida is a great place for those seeking cultural activities. It’s in an advantageous location for day trips or weekend excursions to other areas of the Yucatán Peninsula, such as the Mayan ruins of Dzibilchaltún or Chichén Itzá, or for spending a day at the beach on the Mexican Caribbean in the Riviera Maya. Three of the top beach destinations in Mexico are found in Quintana Roo. Cancún, Playa del Carmen, and Tulum form the top tourist attractions of this Caribbean state, and as such, the real estate market here is booming. This is an especially great achievement considering this area began its development only 40 years ago. However, these areas lack the colonial charm of Campeche and Mérida. Quintana Roo is the perfect beach paradise, featuring pristine, white-sand beaches with turquoise waters, natural cenotes, and water springs. A flourishing expat community also sets it apart from other Mexican locations. Cancún is the largest of the cities, but it feels small. You’ll find hospitals, supermarkets and shopping, bilingual schools, and much more nearby. Cancún attracts all types of tourists and residents because, even while it’s busy with tourism, it is still relaxing for retirees or families. With expats in mind, developers are building to American and Canadian tastes, making it appealing for expats to invest, live, and rent. Amenities usually include a pool, barbecue grill, children’s playgrounds, green areas, and more. The breathtaking beaches, warm year-long climate, and low cost of living (full meals for as little as US$4 and public transport that averages between US$2 and US$5), offer the perfect investment paradise. Living in a property just steps from the beach is possible on a comfortable budget of just over US$2,000 a month in Quintana Roo. Most locals make it through the month spending only US$450 by avoiding tourist areas. Because of the growth of the area, there is something for everyone. Properties range from less than US$100,000 to more than US$1 million. The average range for a luxury, fully furnished condo in Cancún, Playa del Carmen, or Tulum is between US$130,000 and US$350,000. A condo two blocks from the beach with a rooftop solarium, fantastic views of the Mexican Caribbean, and amenities including a gym, business center, green areas, 24-hour security, and much more costs US$140,000. For families looking for a three-bedroom, three-bathroom, single-family home, you could spend around US$125,000 to US$264,000. The Riviera Maya offers many types of properties such as lots, family homes, condos, condo-hotels, gated communities, and more. 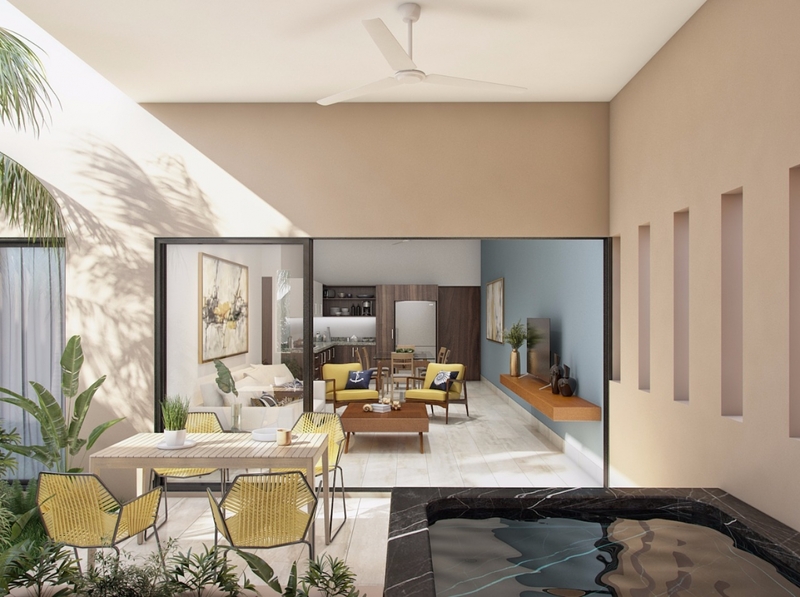 Tulum, for example, is well-suited for those looking for a relaxed, eco-friendly vibe and environmentally sustainable home. Campeche, Yucatán, Or Quintana Roo—Which Is Right For You? If you’re looking for a vacation rental, the Riviera Maya, where you’ll find the highest concentration of established tourism, is your best option. With the recent expansion of Terminal 4 at the Cancún International Airport, you can expect the number of passengers to grow to 31 million annually. For families looking for culture and history only a day trip away from city life, I would recommend Mérida. It is highly regarded for its education, lifestyle, low crime rate, and wonderful climate. The expat community has grown quite a bit over the past few years, and it is a great place to raise children. 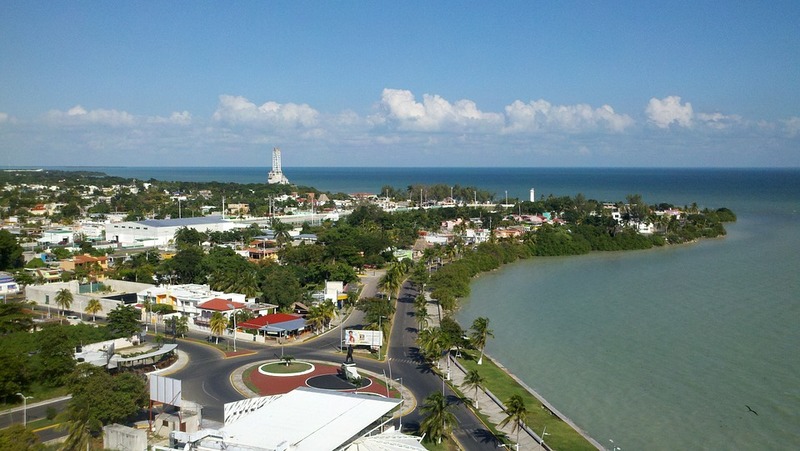 Campeche is less crowded but growing in popularity. 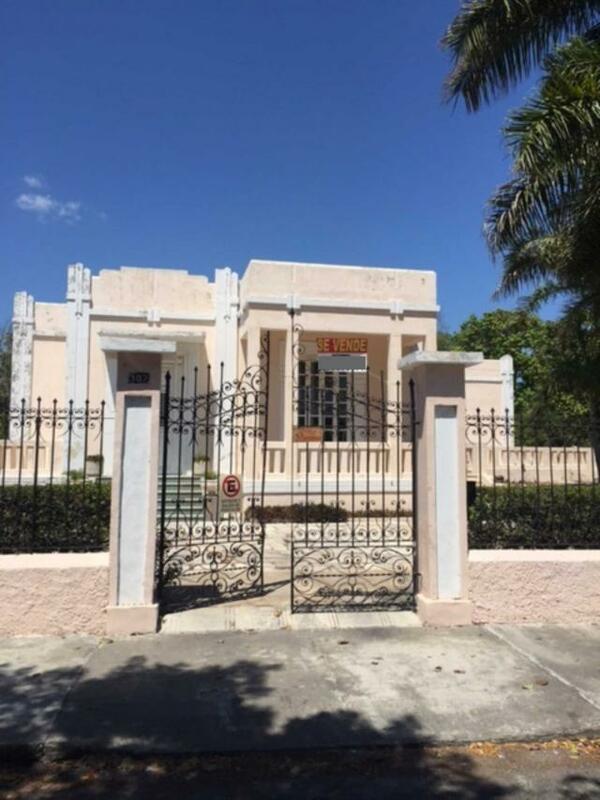 If you’re looking for an investment with great potential, this could be the perfect place. Perhaps for a family it might seem boring due to the lack of children’s activities, but it is definitely an up-and-coming city with plenty to recommend it. Whichever city suits your lifestyle best, you’re certain to find a life-changing opportunity in one of these three Mexican states. Thomas Lloyd is a leading expert on the Mexican real estate market. A graduate from Purdue University’s Krannert School of Management with a degree in Business Management and a specialty in Finance Administration, Thomas is the founder and current CEO of Top Mexico Real Estate, a company catering to Americans and Canadians looking to invest in Mexico.